This widget will only appear on homepage. Add 3 widgets under “Featured Items” widget, you can have all 3 items of featured posts, all 3 items of featured pages, or mixed. 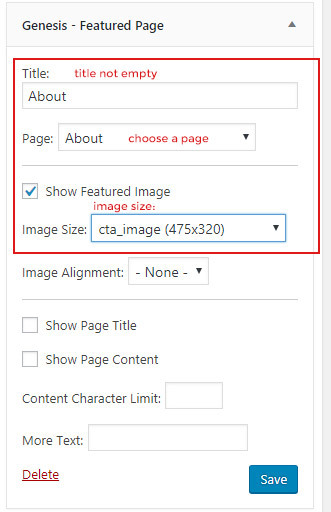 Please not that you cannot choose the image on your own, WordPress will automatically choose the featured image you upload or the first image of your post if you do not have featured image on your post or page. Genesis – Featured Page : Which page you want to display in your homepage, You must have created the page first and use upload featured image to the page. You can select which page to appear. 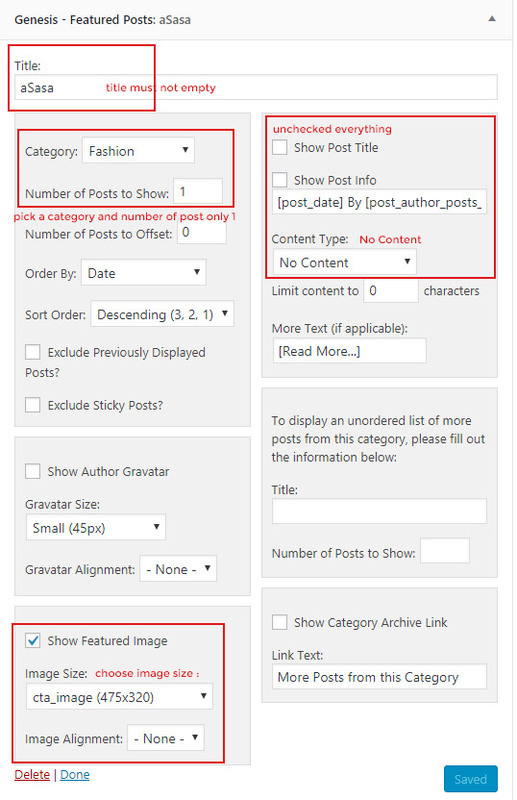 Genesis – Featured Post : You can display your latest blog post or specific post from all categories or specific category. Same like featured page, you must upload featured image to the post so Genesis can automatically grab the image and display it here.